From Paul and Jeremiah: An Invitation To Serve More - And Earn More. …then you’re just like me! You can have the best PT training and skills in the world, but if you’re not able to build a profitable business because your belief about “money” - and “charging what you’re worth” - is HOLDING YOU BACK, then your business is never going to SOAR in the way that it could. And if your business doesn’t soar like it should, you run the risk of being yet another “overlooked” Physical Therapist who could (…and should) have been serving more people better, owning a thriving PT Practice that everyone wants to visit. If you’re currently being held back by self-limiting beliefs about “what a PT is really worth”… then everything to do with things like “Co-Pay”, “OON” costs, “DEDUCTIBLES” or asking for patient’s commitment to a full plan of care, will always feel more difficult than it should. As a Physical Therapist running a private pay practice in a country with a completely FREE, Socialist Health Care System, I opened with the self-limiting belief that “no one would ever pay me what I’m REALLY worth” and it kept me from fulfilling my true earning and serving potential – for years. Sure, I was doing “ok” – but I didn’t have the tools to eliminate the BAD habits and patters that I’d learned in PT School – the habits that quite literally choke your potential in private practice. …then I had to learn the best practices of how to build a PT Business and generate a sustainable income from that business. Any PT who thinks that they don't mix, doesn't understand what it takes to truly make an impact, live boldly and get serious about your own purpose. You see, money is just “energy”. And you need that energy to thrive. The old paradigm thinking that making money and providing great health care don't mix, could be keeping you stuck from really giving your impact to the people in your community who need what you do. But the truth is, if YOU are not taken care of, if YOU are not prospering, there’s no way that you can show up for your patients - and there’s no way that you are going to build a business that you can be proud of. And if you can’t build that type of business, then you can’t SERVE PEOPLE in the way that you would like. Which would be a big shame – because isn’t that why we went into this profession in the first place? It’s about taking care of yourself – and your family. It’s about being the best practitioner AND best BUSINESS PERSON you can so that you can have the greatest impact on the people you love - and the people you serve. When you are taken care of, when you are abundant, when you have enough to take care of yourself and those you love, you become a better healer for others because you are PRESENT and “with them” - and not worrying about paying your bills or where your next pay cheque will come from. The problem for many PT’s is that they are “great practitioners”… with amazing PT skills that COULD impact so many more people than they currently are. But what good is having a treasure chest of great PT skills, if your schedule is always half-empty? If you’re not able to help patients to see the REAL value of what you can do for them - they don’t pay. As health care costs rise, “OON” costs increase, deductibles grow bigger and people become more RESENTFUL of having to pay out of pocket, this problem will only get worse and more and more great PT’s will continue to be overlooked. That’s not what we want for you and that’s why it’s vital that you learn the principles of “ETHICAL INFLUENCE” now. I’ve been applying the principles of ETHICAL INFLUENCE in my own PT Business for the last two years - the results have been stunning. What I love about “Ethical Influence” is that I’ll never have to “close” another patient again. Those days are over - and these days my patients ASK if I’ll take them on. There’s a lot LESS pressure on me since I stopped “closing” and started Selling To Serve. Getting patients to commit and pay my bills has never been easier. As a result, we’re serving more people than ever. I’ve learned a lot about how to overcome challenges in my business, such as: resistance from patients to booking out a full plan of care, how to confidently and ETHICALLY prescribe longer treatment plans and how to charge higher prices – in cash – using these new methods of communicating with patients. Since I discovered how to truly sell the value of what I do – I’ve been able to help more people get the outcome they want and I get to EARN the income that my skills deserve. It’s a completely new way to sell what a PT does and this “ETHICAL INFLUENCE” principle is the foundation for everything we’ll be teaching you on “Selling To Serve”. Out of everyone I’ve ever met on my business growth journey, “Jeremiah Sarkett” (From Phoenix, AZ) has influenced the way I communicate, market my work, and operate my business more than anyone else. (That’s me and Jeremiah outside of my practice after he spent a day training myself and my team on the Ethical Influence methodology). Jeremiah is a luminary in the field of Ethical Influence, Marketing and Sales and he’s also one of the only people I’ve ever met who really “gets” how to take a caring, kind, compassionate based business - like a Physical Therapy Clinic – and make it super profitable – without removing the love, heart and authenticity. I’m delighted to announce that Jeremiah graciously agreed to join me on this 4-part program – Selling To Serve - and share with you everything he knows about making your PT Business more profitable – and more heart-felt. …and, help you to reach the highest levels of SERVING in all areas of your business. 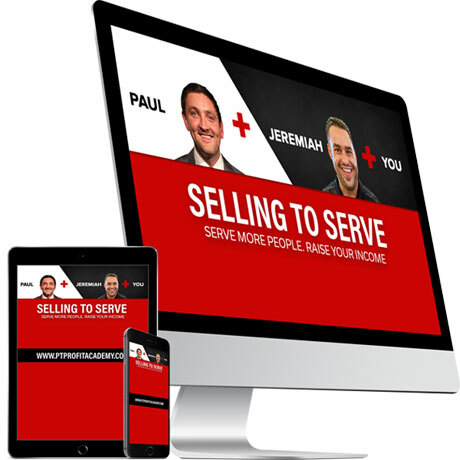 Co-created by myself and Jeremiah – Selling To Serve will help turn your PT clinic into a heart-centered business that is focused on serving people better. The core of this Program is a 4 part, in depth Video Seminar program. Each of the 4 x 90 minutes Video Seminars is packed with heart-centered profit strategies to allow you to serve more people - and raise your income. 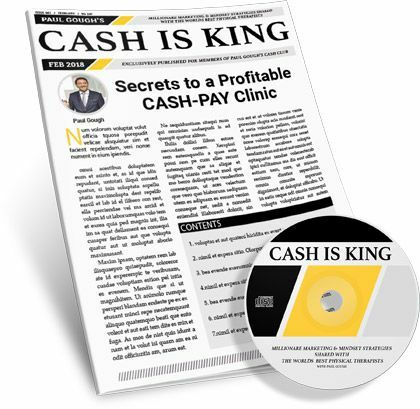 On your 4 Video Seminars, you will experience dozens of leading edge strategies to impact your patients in a higher way – leading to higher profits for yourself. This program is not just about us delivering powerful information to you to help you grow your business. We also want to offer you personal, ongoing support, accountability and coaching. During our 4 weeks together, you’ll get the chance to ask me questions about your business on our exclusive online forum. If a question comes up for you between the seminars, post your question on the forum and I will personally answer it. You will also get chance to interact with our global community of heart-centered Physical Therapists. As a bonus, you will get a personal 45 minute, one-on-one coaching session with Jeremiah. This is a rare opportunity that money can’t buy. Jeremiah has a limited number of personal clients – and his openings are currently all full. You get to choose what is covered on your personal coaching call with the world’s No.1 Ethical Influence Expert. I’m sure you can already see that this is an Education Program like No Other in the Physical Therapy Profession. It’s the missing “semester” that we all wish we had been taught by PT School BEFORE we opened the doors at our practices. The 4 seminars with myself and Jeremiah are going to be in-valuable for you – the business owner – but we also encourage you to share this training with your staff members too. As a fellow private practice owner I know that every day when you run your business, you need to be able to lovingly and ethically influence people – from patients, to staff, to insurance representatives, doctors and their secretaries – even your own members of family. The most important factor in you being able to influence others effectively is to first be able to influence YOURSELF so that you are in a strong, confident state of mind when you communicate to others. Yet, even the most successful people in the world have moments were they lack self-confidence. And there are times when all of us would like to be more confident. That’s why during this exclusive four-part Video Seminar program, there will be a big focus on building strong states of self confidence - an essential component if you are going to be a truly successful business person. Take advantage and get these Ethical Influence and Serving methods working for your PT Business TODAY... and save $400! Selling To Serve is 100% risk free for you to join. Here’s how my Personal Profitability Guarantee works. Take action today and join the “Selling To Serve” program… and if by the end of week one you don’t think that Selling To Serve will impact your ability to serve more and make more… enough to cover your small investment, then I’ll gladly refund your money. All you need is just “3” extra VISITS scheduled to cover your investment in “Selling To Serve” and in fact, with just 1 or 2 of these methods, you could get 100 X your investment back and more! So, in reality, this course doesn’t “cost” anything. It’s essentially FREE… it’s an investment in your future wealth and prosperity and your ability to serve more people. You can only grow your PT clinic in this new health care economy by knowing how to serve people using the Ethical Influence concept that patients now expect from us. This full video program (Value $347) will be unlocked instantly - when you confirm your place on “Selling To Serve” and of course, we’ll reveal how we AUTOMATE the whole “social thing” in one hour each week. 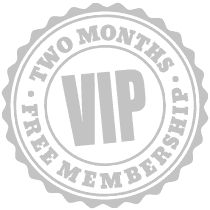 To ensure your success on Selling To Serve, you’ll also receive two months FREE access to my Next Level Group Coaching Program. This is an $800 monthly subscription program and we’re proud to have one of the most active and supportive global communities of PT’s on the planet. You can join in additional weekly live event training calls, attend Monthly Marketing Master Class seminars, get accountability and network with other like-minded PTs. As an ADDED bonus, you will get a personal 45 minute, one-on-one coaching session with Jeremiah. You get to choose what is covered on your personal coaching call with the worlds No.1 Ethical Influence Expert. Expect this call to be one of the most Transformational parts of your life - personal and business. We are happy for you to record the call to listen back to at a later date – or share it with your staff. Paul Gough helps great Physical Therapists become more successful business owners. He is the founder of the “Paul Gough Physio Rooms” – a hugely successful 4 clinic, private pay cash practice in the UK where healthcare is FREE, and he is an early adopter of the “Ethical Influence” methodology in our profession. Paul is a published Author (“The Healthy Habit” Book), a former Professional Soccer Physical Therapist, prolific speaker and a small business Icon – winner of the Infusionsoft award: “Best In Class - Lead Nurture and Conversion Systems”. 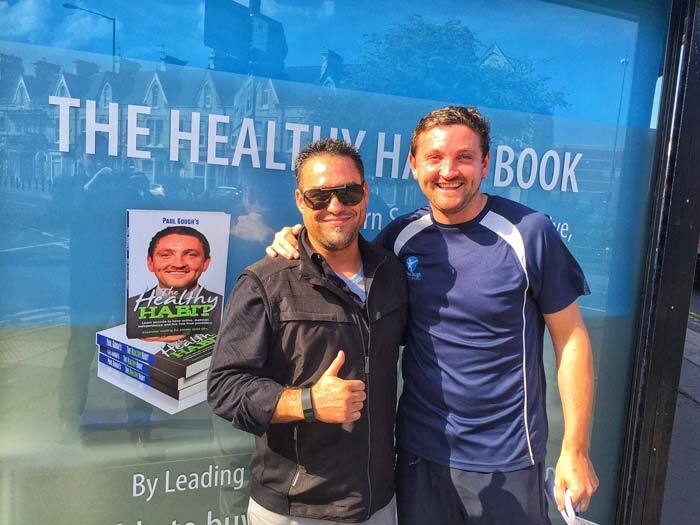 As well as growing his own business, he now helps small PT businesses in the US and around the globe to become more successful as well as radically shift their Entrepreneurial mindset and thinking. Jeremiah Sarkett is one of the world’s leading sales and marketing trainers and a pioneer in the movement to bring more ETHICAL INFLUENCE techniques to health care businesses. Jeremiah’s mission is to help health care professionals realize their greatest potential and use their unique SKILLS to make an impact on the people they serve. He does that by sharing everything he knows about the true sales concept and he continues to help small businesses around the world implement the Ethical Influence process, on a daily basis. Q Can I learn at my own pace? Absolutely! As a new student, you’ll go through the course as it’s released over the 4 weeks. But we also understand that you are busy and may need to take a break! If you are getting married, having a baby, travelling around the world with your family or dealing with any other life events, you don’t have to worry about “falling behind”. Every student gets lifetime access to “Selling To Serve” material. Q Do I have to finish the course within 4 weeks? Q Can I access the content all at once? We know that some students would love to get all the Modules at once, but that’s not how we ensure your success. The Selling To Serve Experience and Curriculum are carefully designed so that as you complete each Module, one week at a time, and complete the corresponding homework and action plans in order. Everything has been set up to maximize your results and long term success. Q Can my assistant listen in on the calls? Is “Selling To Serve” Right For You? Reflect on your answers to those three questions. If you want your answers to those three questions to be VERY different a couple of weeks from today — if not sooner — then I strongly encourage you to register for Selling To Serve and take advantage of the bonus package on offer. I think I’ll end by saying that “white papers”, “research”, “facts” and even “manual skills” are easy to come by. Finding a new way to think and a new confidence in your ability to “sell and serve” is more difficult than most business owners realize. Dedicated to helping you to become a more successful business owner.